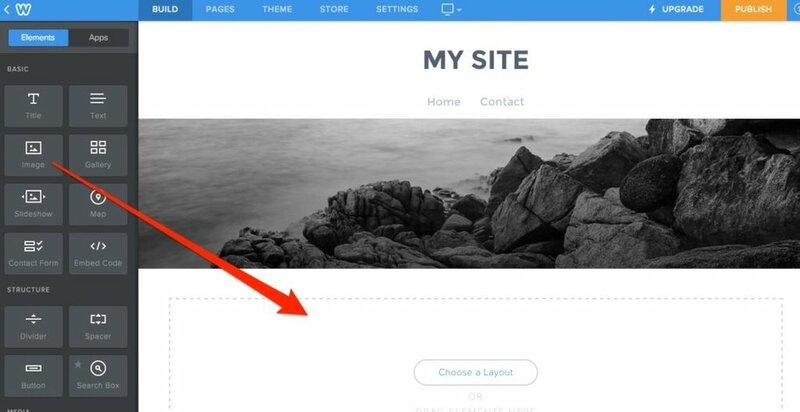 Squarespace offers a lot to its users, including well-designed templates. In fact, the biggest appeal of this site is that while you have the option of designing your own template, they include a wide variety of their own beautifully crafted models on their site. They also have a great mobile-site transition, meaning that the site you create will look aesthetically professional on smartphones whereas other website builders’ do not translate as well on a phone’s screen. Squarespace does come with a price. Many competitors offer the same plans for less (as of May 2018, it costs $16.00 a month for basic plans). Also as the saying goes about skiing being easier to learn but harder to master, Squarespace is easy to set up, but the customization is extremely limiting. Another con according to Website Builder Expert is while the mobile app translation is good, the mobile editing features are very not user-friendly. WordPress started as a blogging service, so its content management system is well-developed and makes website navigation easy. Likewise, the platform is great for SEO optimization through its plug-ins. According to ArcStone, a marketing agency in Minneapolis, WordPress is an open-source platform, which means anyone can change the code for easy customization. Also, unlike Squarespace, WordPress is easily editable and affordable ($3.95/month for the domain), making it the cheapest portfolio on this list. Wix offers over 500 templates that are structured in a way that needs little editing or maneuvering on your end. However, if you did want to edit a template, doing so is simple. Rather than changing the width of sections, moving CTAs around, creating extra padding, etc. by editing backend code, this can be done while viewing the actual site from the front. The price is $5.00 a month for a domain plan and up to $25.00 a month for a VIP package, which includes a website review completed by a Wix employee every year. Wix’s new AI feature will design a first version of your portfolio for you after you plug your needs into their site. While there are so many designs offered, the quality of Wix’s designs can vary. Also, if you’ve already chosen a design, it’s difficult to change that design to another template if you change your mind later on. Additionally, there is an enormous amount of ads visible on the free plan, unlike other portfolio-building sites. 99signals states that Weebly is the most layout intuitive because users can easily drag and drop template features without hassle. They also offer a large number of templates and it is perhaps the simplest portfolio site to design for inexperienced users. A large complaint about Weebly is that there have been very few updates to Weebly over time, compared to Squarespace and Wix, for example. Weebly costs $9.00 a month, making it more expensive than the basic services of Wix and WordPress.